You’re attempting to read something important but have so far read the same paragraph a dozen times because you keep getting distracted. Sights, sounds, smells and thoughts that are far less important than what you are reading keep drawing your attention. You abandon the book, deciding to take a break. You decide to play a video game to relax. An hour later you are enjoying your game when you are interrupted by a friend waving their hand in front of your face. They claim they have been calling your name repeatedly but you appeared not to hear them. You are at a party. There is chatter all around you but you are engaged in conversation with a friend, clearly ignoring the ‘background noise’ caused by other guests. However, someone across the room mentions your name in conversation and you immediately turn your head. Though you appeared to be ignoring all other conversations, you could not have recognised your name unless you were processing the speakers’ words to some degree. In psychology this is known as ‘The Cocktail Party Effect’ and has been debated by attention researchers since the 1950s. It raises questions about where the ‘selective’ part of selective attention takes place. When we choose to ignore something, how deeply do we process it? Psychological research has attempted to answer these questions for many years and a promising model of selective attention has emerged, called Perceptual Load Theory. My PhD research takes this theory and uses it to investigate attention in driving; a task where distraction can have fatal consequences. Selective attention is what allows us to focus on relevant information and ignore distractors. Failures of selective attention happen when we accidentally attend to the distractor instead of the task-relevant information that we want to attend to, i.e. sitting in a lecture and getting distracted by fellow students chatting. It is not the same as the kind of ‘distraction’ caused by divided attention, where you attempt to do two things at once, i.e. texting while in a lecture. When people think of distraction when driving they tend to think of using mobile phones, smoking, eating, etc. Those are examples of divided attention and while they are very important for driver safety, my PhD is focused on the more fundamental process of selective attention. When driving, your eyes receive a wealth of information from the road scene including vehicles, road signs, pedestrians, billboards, shop fronts, etc. How do you focus on the safety-critical visual information while resisting the lure of flashing billboards and 50% off sale signs? Perceptual Load Theory predicts when distraction will occur and has two components; perceptual load and cognitive load. Perceptual load – the amount of visual information present in a scene - determines whether distractors will be admitted to the brain and processed at all. This selection is based on capacity limits, akin to a bouncer outside a nightclub. If the target information is of high load then the club is full and the distractor is refused admission. Imaging studies have shown that under high perceptual load, the brain doesn’t even process distractors. It is as if you become blind to their presence because you simply don’t have the capacity to process them. Since they are not processed, they cannot affect behaviour and the individual does not become distracted. If, however, the target stimuli incur low perceptual load, the brain’s processing capacity is not reached and so the distractor is processed along with the targets. Even though you don’t intend to process the distractors, attention will proceed automatically until the capacity is reached, processing targets and distractors indiscriminately. 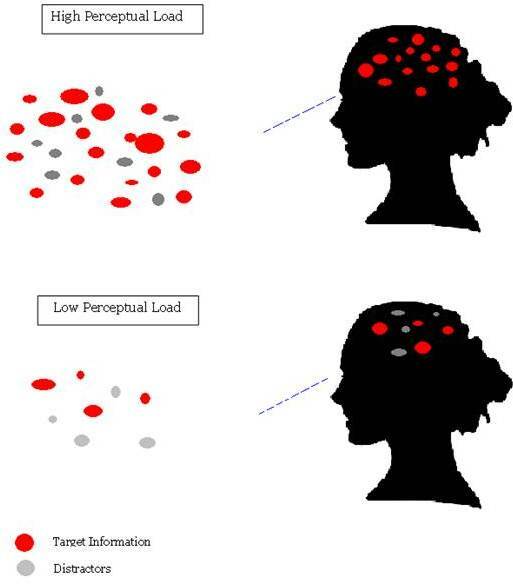 Figure 1 shows how target information and distractors are processed in situations of high and low perceptual load – under high load, distractors cannot be processed due to capacity limits. In contrast, under low perceptual load both targets and distractors are processed indiscriminately. : Attention under High and Low Perceptual Load. Image: Gillian Murphy. Under low perceptual load, where your capacity-dictated, perceptual ‘bouncers’ have processed both targets and distractors, how do you choose which to attend to? This is where the second component of Load Theory, cognitive load, becomes important. Executive functions in the brain select targets, but their success is determined by the level of cognitive load you are currently experiencing, i.e. what other operations your brain is undertaking at the same time. Cognitive load has the opposite effect to perceptual load – when cognitive load is low, distraction is less likely to occur. Distinguishing between distractors and targets is effortful and so if you were engaged in another task (e.g. trying to remember a phone number), you would be more likely to accidentally select a distractor for further attention, allowing that distractor to interfere with your thoughts and behaviour. While this theory has been well established using artificial, computer-based tasks, the applied benefits are relatively unexplored. Lapses of attention cause problems across Ireland, every minute of every day. A doctor misses an unusual shape on an X-Ray. A farmer gets distracted while operating dangerous machinery. Teachers in every town and city struggle to get unruly pupils to look at the board instead of out the window. Driving is perhaps one of the most high-stakes attention tasks that we perform and my PhD is using this theory to investigate when distraction is likely to occur on the road. The Road Safety Authority recently announced that road deaths in Ireland increased in 2013, for the first time since 2005. Road safety remains a huge problem in this country and there have been many educational and legislative efforts to resolve this. As discussed, perceptual load relates to the processing load incurred by the task you are trying to perform. In a driving scenario, low perceptual load could be slowly driving on an empty street, whereas high perceptual load might be travelling at high speed in heavy traffic, in a busy urban area. High perceptual load decreases susceptibility to distraction, similar to what happened to the video game player at the beginning of this article. This leads to the rather counterintuitive prediction that making the task more difficult can actually reduce distraction. The effect of load is evident both within and between sensory modalities, for example when driving in perceptually demanding conditions you may stop processing the sounds coming from the radio. Cognitive load relates to what else is going on in your mind while performing a task. For a driver, high cognitive load might be incurred by trying to remember a complex series of directions while driving. High cognitive load increases the likelihood that you will become distracted, as you are less capable of selecting targets from distractors. 2 UCC's Driving Simulator. Image: Gillian Murphy. How exactly does perceptual load affect drivers? 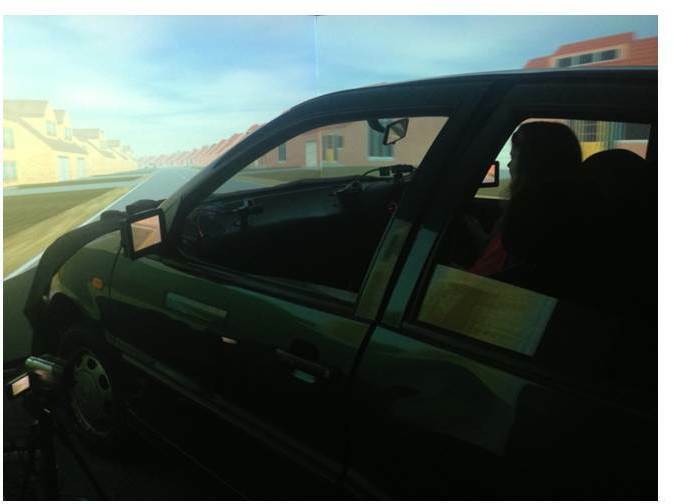 Using UCC’s state of the art Driving Simulator Laboratory (see Figure 2), I will be conducting a series of experiments, taking into account the interaction of load with emotional states, driver experience and dealing with unexpected hazards. Is perceptual load beneficial for drivers - helping them to ignore distractors such as billboards and shop fronts? Or is it detrimental – preventing them from detecting hazards such as pedestrians and approaching vehicles? Knowing how perceptual and cognitive load affect drivers will allow us to better understand driver attention at a basic level and will have implications for road design, driver education and legislation. I am a member of the People and Technology Research Group in the School of Applied Psychology. I would like to thank my supervisors Dr Ciara Greene, School of Applied Psychology, UCC and Professor John A. Groeger, Department of Psychology, University of Hull. I would also like to thank the Irish Research Council for funding this PhD.